I think visual cues (logos) for companies send a very strong message and they're easier to spot than text. 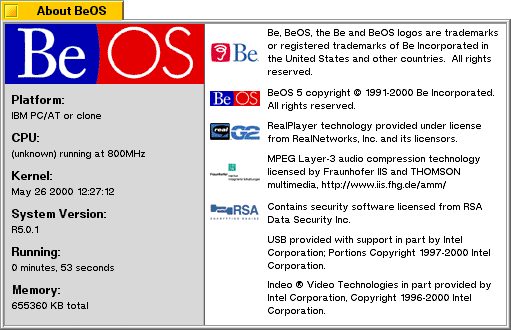 I do think BeOS go this right, and maybe Haiku could consider this. A lot of companies can be instantly recognized by their logo. Probably be a lot of work, and possibly permission from the projects; but I believe it'd be well worth it, and would help!